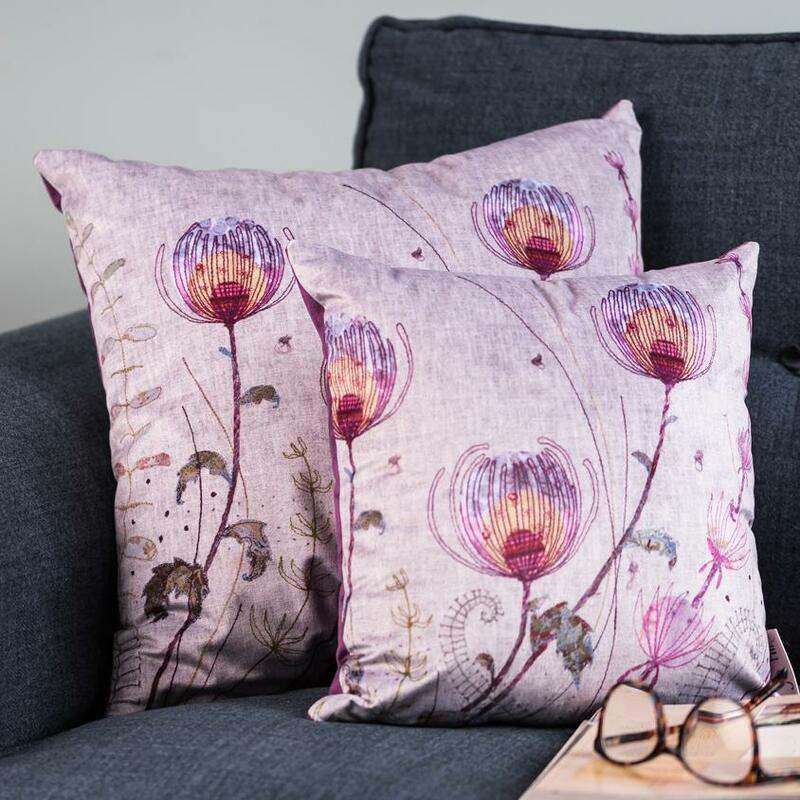 On this course you will spend the day in my home in the Staffordshire countryside creating your own cushion inspired by flowers and grasses and measuring 40cm x 40cm (16” x 16”). This workshop is suitable for those who have done some sewing and would now like to learn how to do free-motion embroidery, and also those who would like to improve their free-motion embroidery skills. Free motion embroidery is an exciting technique where you are able to 'draw' with the sewing machine by lowering the feed dogs and moving the fabric around under the needle. This is a technique that I have really refined over the years and I use it in all my textile pieces. I have a lot of experience in free-motion embroidery and you will learn how to use the sewing machine to its full potential - you'll be amazed at the results! The cushion will be an envelope-style opening, either at the front or on the back - see the photo for a sample I created. I will also supply a fibre-filled pad for your finished cushion. I will be teaching a variety of techniques that you will be able to use to create your design. 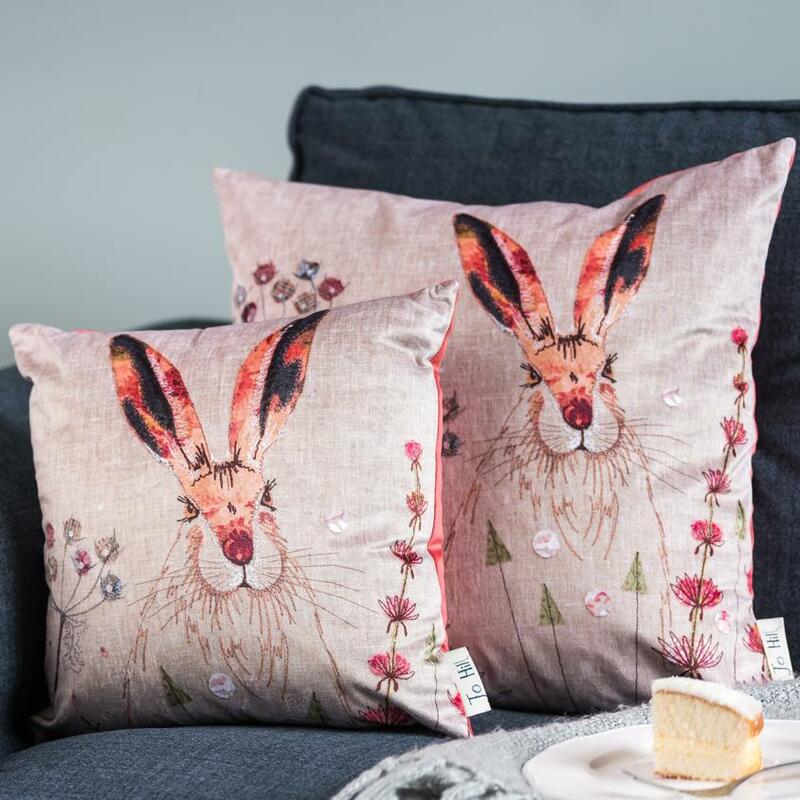 There will be plenty of design inspiration available for you - I have a library of design ideas all inspired by British wildlife, flowers and grasses. All fabrics will be supplied but feel free to bring your own thin fabrics for the appliqué if you have a particular colour scheme in mind. Thin fabrics include cottons such as patchwork and quilting fabrics or shirt material. "I enjoyed the atmosphere of the workshop. It was relaxed but so informative"
"The free motion embroidery side I had tried before, with some success, but not a lot of confidence. Watching Jo's demonstration was worth more than all the books I have read about the technique!" "Myself and three friends attended our first class on Monday and a great day was had by all. Jo was very patient with us and we went home with beautiful cushions. We have already booked our next class., a lamp shade this time. We can't wait." Please bring your sewing machine, packed lunch, general sewing kit, sharp scissors and an embroidery hoop measuring 7" or 8" in diameter and 1cm deep. If you want to bring your own designs ideas please do so. Embroidery hoops will be available to purchase at the workshop (subject to availability) at £3.50 each. If you don't have a sewing machine, you are welcome to rent one for £5.00, please select 'Rent a Sewing Machine' below. Please note I only have 2 spare machines available so it might be an idea to check with everyone else in the group before selecting this option! A general sewing kit comprises spare bobbins, spare needles (machine and hand sewing), thread, small scissors for cutting thread, pins and a tape measure.